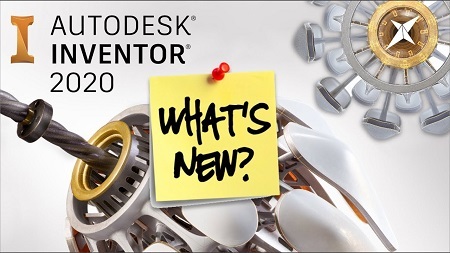 This year we celebrate Inventor’s 20 year anniversary with the release of Inventor Pro 2020. This release delivers a host of enhancements to help you solve complex product design challenges and get more done in less time. – Enhanced User Interface (UI) and Workflows: Streamlined part modeling, smart sketch profile detection, multi-monitor app frame, and a modernized look and feel. – Customer Driven Improvements: Solid sweep, frame design productivity, complex surface unwrap and flattening, read-only mode, settings presets, and several more from Inventor Ideas that came directly from you. – Continued Delivery of Professional Grade Functionality: Faster import, patterning, navigation, Tube & Pipe route edits, as well as expanded Express Mode functionality. – Multiple Fixes Improving Stability and Quality: Click here for a detailed list of these improvements.